“You can’t put a price on a good night’s sleep.” That’s a quote that has stayed with me for years and years, but it wasn’t coined by a famous philosopher, a poet, or even a Hollywood movie star. Instead, that quote comes from my mom. She was helping me shop for a new mattress. My old one was full of lumps and loose springs---leaving me tired and cranky even after a full night in bed. I tried out a dozen or so mattresses and finally found one that was ‘just right’---but, even so, I stalled, balking over the price tag. But, mom was a firm believer in the benefits of a good night’s sleep. She’d said it before and she said it again---“you can’t put a price on a good night’s sleep.” I realized she was right and I bought the mattress. Moms aren’t the only ones who believe in a good night’s sleep; scientists have proven that sleep plays a critical role in immune function, metabolism, joint health, stress reduction, and even our ability to learn new tasks. In fact, sleep is important for all mammals, including---you guessed it--- our horses. Even though your horse’s sleep pattern looks different than your own, there are some common denominators. You both move through various stages of sleep throughout a 24-hour period, from drowsiness to what scientists call slow wave sleep (SWS) and the more familiar rapid eye movement or REM sleep. All stages are important to good health. You’ve probably noticed your horse sometimes stands with a leg cocked and his eyes half closed, especially if it’s a nice warm, sunny day. He requires about two hours of this drowsy snoozing per day, in addition to three hours of slow wave sleep (usually completely prone), and about an hour or so of resting on the ground with his head and forelegs tucked to one side. If he’s deprived of any one of these stages of sleep, he’s at risk for some health issues. Research shows that equine sleep deprivation can lead to all sorts of problems, including excessive drowsiness under saddle, joint pain, and environmental stress. If you find your horse holds a lot of tension or suffers from chronic joint pain, a good night’s sleep could be all he needs, but he won’t get that sleep if he doesn’t feel safe or comfortable lying down. Let’s face it---if your horse’s bed feels like my old mattress, he probably won’t lie down for long enough to move into a deep sleep. 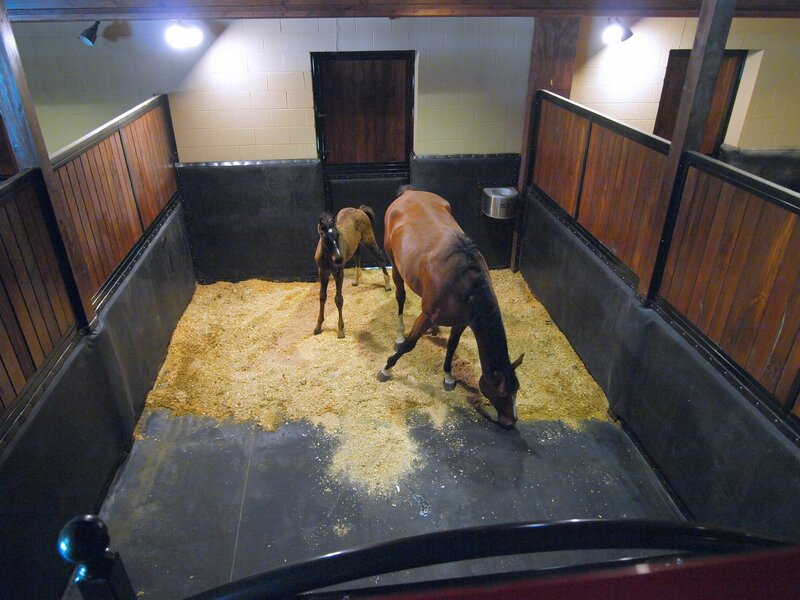 Stall mattresses can change all that- studies show that horses stalled on mattresses lie down for longer periods and stay down for longer durations. Of course, we here at RAMM have done our own research---field-testing our new Thurobed™ Mattress System in our barns. We’re happy to say that even our Draft horse is happily snoozing for hours at a time on his new mattress. We did the research and we’re thrilled to report we’ve found a product that is not only comfortable, but super durable (even for the largest of drafts), environmentally sound, easy to install, and best of all---will save you money in the long run on bedding and waste removal. • Better air quality- minimizes dust and ammonia. Urine does not soak through into flooring. • Cost savings –fewer shavings needed, but many customers see a reduction in acupuncture and chiropractic visits needed. If you’ve ever struggled to install mats you already know they’re heavy and awkward. 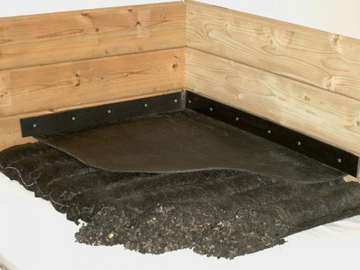 Stall mats are an economical option, of course, and they do offer your horse a more comfortable place to lie down than concrete or dirt, but they have some drawbacks. No matter how tight a fit, inevitably bits of shavings or dirt work themselves into the seams. We know that dirt and shavings absorb urine and that can make for an unhealthy air quality in the barn and at the stall floor, not to mention how all that captured dirt tends to shift the stall mats. 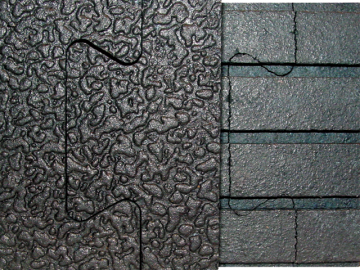 Lumpy or uneven mats can catch a hoof or leg, creating an unsafe (and definitely uncomfortable!) surface for your horse. Fixing the problem is labor intensive---you’ll need to remove the mats, re-tamp the floor, thoroughly clean, and re-install. The ThuroBed™ Mattress System, on the other hand, can be installed with just one or two people and once it’s installed it won’t shift---providing it was installed properly. Don’t worry about the installation---easy to follow instructions accompany each purchase. Cleaning is a breeze; simply remove all the bedding and wash the mattress in place with a solution of 5% bleach and water. Our mattress cover fastens to all four walls, leaving no seams for dirt and shavings to slip into. Plus, there are no edges or corners for your horse to catch a leg or hoof on. Customers tell us their horses sleep longer and are more relaxed throughout their entire bodies with our ThuroBed™ System. 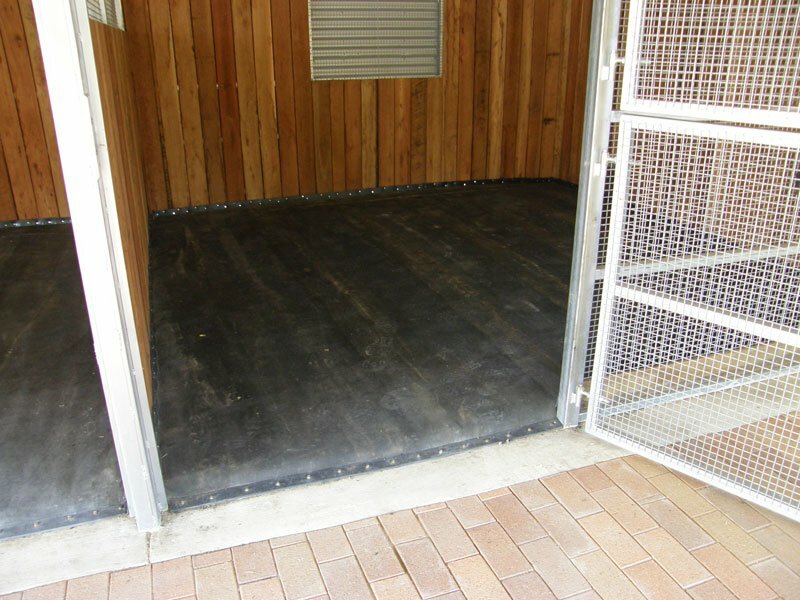 Many customers report that pawing, pacing, and other stall vices decrease or disappear altogether. The soft, comfortable surface helps to support good hoof growth and even helps those horses who experience ‘stocking up’ or swelling in the lower legs. The ThuroBed™ Stall System has been field-tested in private barns, professional barns, universities, veterinary facilities, breeding barns, and even large show and training facilities.